In this penultimate post in the series “Kill the Hierarchy” I explore how a flatter organisational structure requires principles management or decision–making guardrails. Guardrails on a road stop drivers ending up in dangerous areas and they are often placed in the most problematic areas where it is easy to do the wrong thing. Just as guardrails help make drivers safe and keep them on the road, they can also do that for an organisation. In a flat structure we give employees autonomy, the ability to self-manage and make decisions. But sometimes, employees need guardrails to make sure their efforts are aligned with the organisational needs. Guardrails are the principles within which employees operate. Principles or guardrails help employees make quality decisions faster and with less risk. Organisations see greater synergy across the organisation when employees are provided with context for understanding business needs, guardrails for decision-making support, and responsibility for the decisions they make. Leankit describes an example of guardrails and principles management at Netflix. Netflix Build & Developer Tools Manager, Mike McGarr, says additional decision guidelines exist, but outside of them, engineers are free to make decisions based on their goal of solving a business problem. This freedom comes with responsibility for solving issues resulting from poor decisions. Problems across the company are managed with context, not authoritative control. Managers share business context with their teams and give their people the freedom to decide how to solve each business problem”. Guardrails should be agreed on albeit they are arbitrary rules to guide employees. The organisation could select a representative cross-functional group of employees to define the guardrails and then put them up for comment by the rest of the organisation. Once as-near-as-possible-consensus has been achieved, they should be published and subject to regular review based on ongoing feedback. Guardrails are the guidelines within which employees can act autonomously. They enable employees to make good decisions. Unlike rules, which are constrictive, guardrails allow employees to use their intuition, rational thinking and their unique contextual understanding of the situation. Focus on the guardrails (principles) not policies. Guardrails give employees the freedom to come up with innovative and creative solutions and ideas. Just like rules, guardrails can be broken if an employee believes there is just reason for doing so and no intentional damage to the organisations well-being was intended. In these situations, guardrails should be reviewed and revised as needed. In the military, “fog of war” is the term used to describe the uncertainty experienced by soldiers in military operations. The term seeks to encapsulate the uncertainty regarding one’s own capability, that of the enemy, and the enemies intent. Mark Bonchek and Chris Fussell, writing for Harvard Business Review, describe how the military challenge is also a business challenge today. Businesses need to pierce through the “fog of business”. Traditional management tools like strategy and planning do not work today – they are like headlights that just bounce off the fog. Strategy and planning are too rigid and do not allow the organisation to respond quickly to rapidly changing environments. What is needed is guidance for employees to enable rapid decision-making. 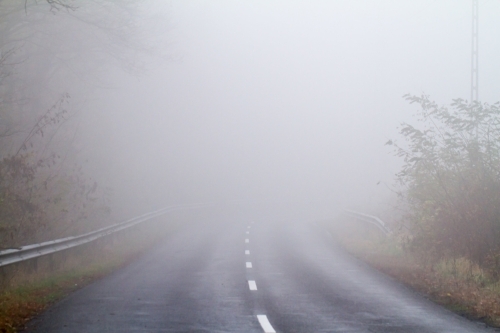 “When driving, fog lights work best when there are lines on the road to follow. Similarly, leaders must create mechanisms that keep everyone aligned to the mission and coordinated in the field. Doctrine is the military’s mechanism for managing the fog of war, pushing decision-making closer to the ground while providing the lines to guide decision-making and action. Doctrine creates the common framework of understanding inside of which individuals can make rapid decisions that are right for their circumstances”. Mark and Chris in their HBR article also give the example of the media company TED. TED became famous for its first-class conferences and captivating talks in the 1980s. TED became known to the world when videos of the talks were posted online so that everyone could watch and listen. But TED wanted to give people not just the content but also the TED experience itself. In 2008, TEDx was launched to spread the TED mission of “ideas worth spreading”. TEDx has grown into thousands of events across the globe but only has a few employees. “What most people don’t know is that TED has no direct control over TEDx events. Instead, TED authorizes and empowers local organizers to create TED-like events in their own communities. How does TED ensure consistency instead of chaos? With what amounts to doctrine. Their guidelines are equivalent to the NATO definition of doctrine. They are fundamental principles by which TEDx organisers guide their actions in support of objectives. They are authoritative but require judgement in application. Give employees autonomy and the ability to make rapid-decisions whilst also giving them the comfort of having guardrails. Guardrails help support employee health and well being as employees are not stressed about decision-making, which they perceive ‘could be above their pay grade’. But it also helps with the health and well being of the organisation as a whole. Guardrails keeps decision-making aligned with organizational goals and objectives. Upcoming posts in this series entitled ‘Kill the Hierarchy’will continue to explore how we flatten the hierarchy in order to achieve rapid and decentralised decision-making, employee engagement, high levels of collaboration, widespread autonomy, trust and respect, and an environment in which everyone leads.